Tying the knot at a country club or resort? Reserve one of CCE's exclusive wedding golf carts for uniquely fun and beautiful transportation for your special day. We maintain a select number of Club Car Precedent model carts specifically for our wedding rental program, taking exceptional care of them, preserving their beauty and ensuring smooth, worry-free operation on your big day. 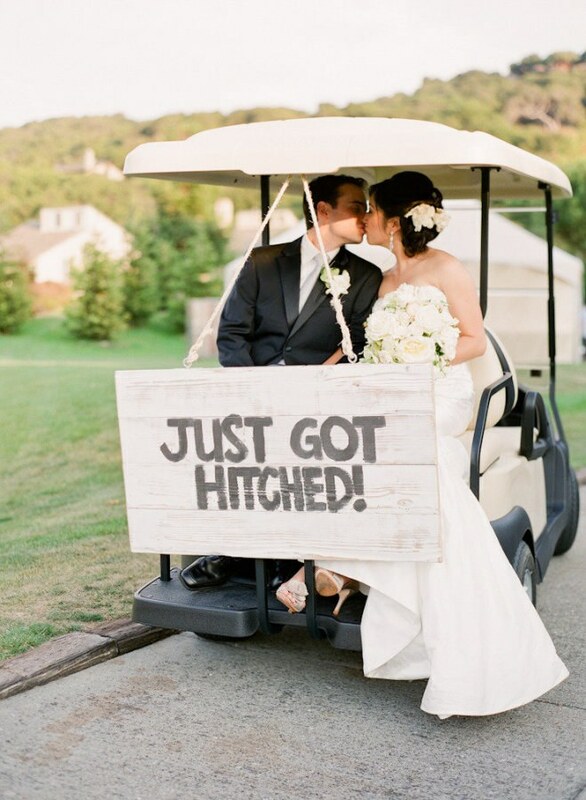 Whether you are looking for one special cart for the Bride and Groom, or require several carts for the bridal party, check one thing off your to-do list by reserving your wedding golf cart rental needs with CCE. CCE has been an award-winning authorized dealer for Club Car for over 35-years. Our company exceeds industry standards for quality inventory, parts/accessories and service. The CCE experience is unmatched. Have questions or prefer to chat? Contact Beth Halligan, our Rental Coordinator, at (508) 322-3025.